France international Mamadou Sakho has ended speculation regarding his future by signing a new long-term deal at Liverpool. The 25-year-old has struggled to displace the central defensive partneship of Martin Skrtel and Dejan Lovren this season, and this had led to rumours that he may seek fresh pastures elsewhere. However, Sakho has shown his commitment to the Reds by signing a new long-term contract. "I am very happy to sign a long-term contract with Liverpool because, as I have always said, I am very happy here and my family are happy in Liverpool." he told the club's official website. 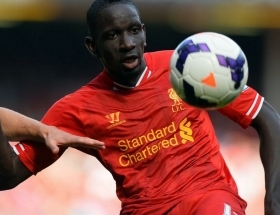 Sakho has yet to feature for the Merseyside giants in the Premier League this season.